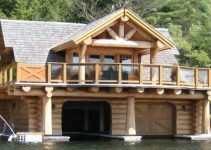 If you are ready to build that beautiful log home you’ve been dreaming of for a while now, here an appealing design well worth considering. The Carson house has 1,207 square feet distributed on 2 floors (First Floor 860 sq ft and Second Floor 347). 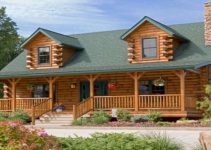 The interesting part about this log home is the wraparound porch and windows all around which allows for a good view of the surrounding area with no obstruction, plus relaxing sitting area for quiet conversations. 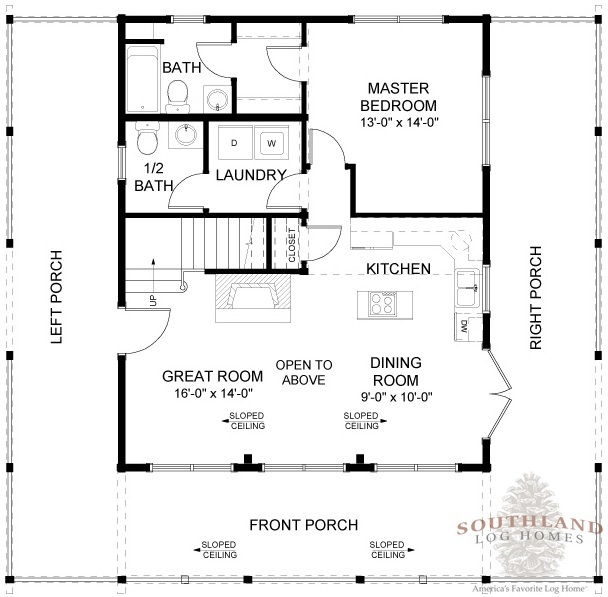 The main floor has the master bedroom, while on the second one you can find a full size bath and bedroom. Storage facilities are to be found throughout, as well as another 2 bathrooms. 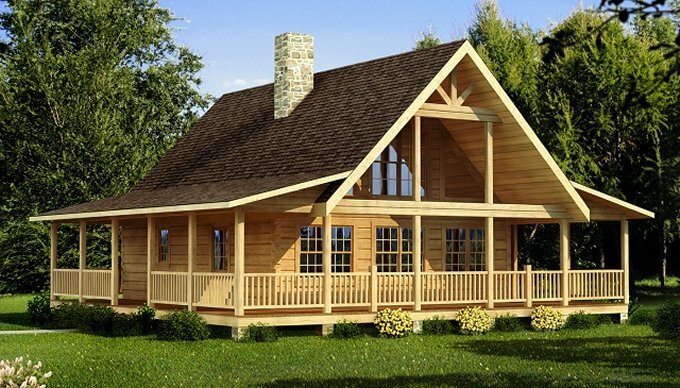 Overall, this is a well designed log home perfect for a couple with children. Looking for info sheets on some of your homes. Interested in possibly building a home in Eastern Kentucky. I would like french doors on both sides. 1 side a built in porch with larder window with screens that can be opened ..I freezer ,washer and dryer 2 lines to dry chlose and a folding up table other side of porch 1 Round tableand dog beds and food .with feedjng spot. THAT SIDE PORCH WOULD BE WIDER OR WRAP 1/2 AROUND BACK.ON THE OTHER SIDE OF BACK WITH LARGE WINDOWS FOR SMALL GREENHOUSE.I WOULD REARRANGE THE LOWER LEVEL AND HAVE A FIRE PLACE ONE YOU COULD COOK AND BAKE IN..But I would take one no matter what. I like it lots. I have 3 achersience it in and have a lake. Stock the pond I’d be set forever. Log home with wrap around porch ~ would like more information could it be made on a smaller scale, if not no biggie. 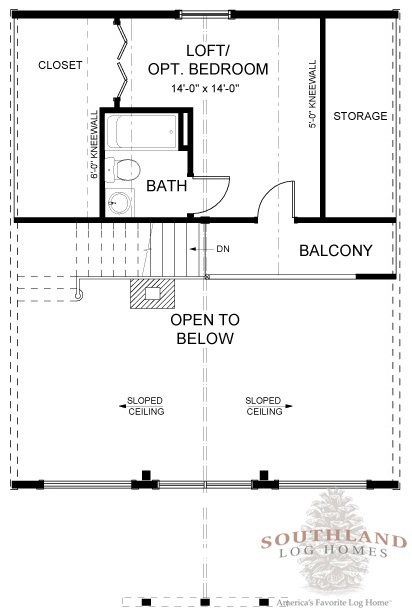 I’d love the open loft area with that same plan, just a bit different. 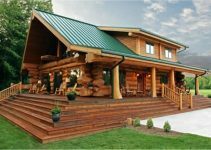 I love The Log Home with Wrap Around Porch ~ sorry about the double comments. Couldn’t go forward.